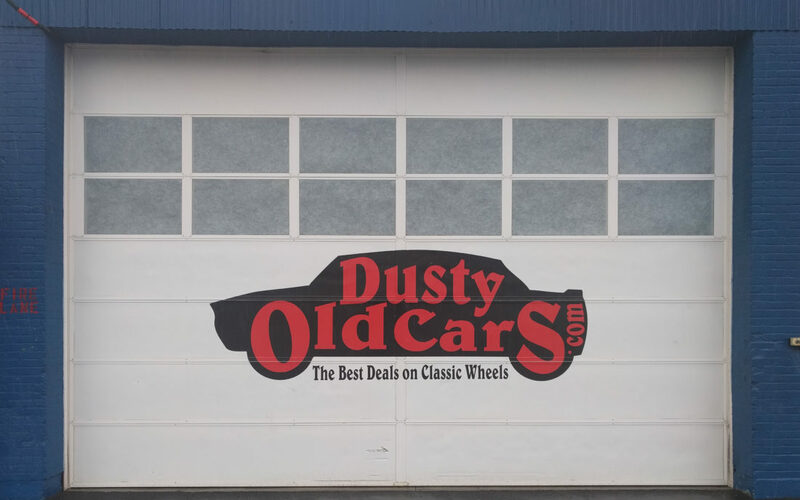 MANCHESTER – The owners of the classic cars that were allegedly taken by Dusty Old Cars’ Stephan Condodemetraky will soon be able to get their cars back for a fee, or even sell them, after a pair of rulings granted Thursday in the U.S. Bankruptcy Court in Manchester. Judge Bruce Harwood granted motions presented by bankruptcy trustee, Michael Askenaizer, to enter into sales agreements with car owners where the owners would get 70 percent of the proceeds. None of the cars will be sold without a further court order, but Thursday’s ruling will allow consignors to enter into agreements with Askenaizer. Harwood also approved an amended plan to give back cars to people who want their property back. Askenaizer’s original plan was to charge every consignor a $1,000 fee. The new fee schedule depends on the nature of the contract and the value of the car, with some people to get their cars back without paying anything and others paying between $300-$1,500 to get their vehicles back. Edwin Larson, a Lutheran pastor from Florence, Mass., wants to know what happened to the 1966 Mustang he consigned to Dusty Old Cars. The car was initially listed as sold after Condodemtraky’s company took possession, but Larson was never paid and the car was never registered to any other person. He still hold the title. Thursday’s rulings do little for Larson, as his car is technically missing. “I can’t make a deal to get my car back,” Larson said. Ford told Harwood that at least 190 of the company’s more than 300 vehicles do not belong to Condodemetraky – and many more have no clear ownership. That means the trustee cannot sell all of the cars to Reich Brothers. Condodemetraky is currently being investigated by the New Hampshire Attorney General’s Office for alleged fraud while his company is being liquidated in the bankruptcy court. Condodemetraky was not present in court Thursday for the hearing. Ford said Askenaizer is open to some kind of offer from Reich Brothers for any cars that can be proved are owned by the business. The Reich Brothers initially offered to buy all of the cars and intellectual property, but stipulated the attorney general’s office needed to agree not to take any “adverse action” against Condodemetraky. That stipulation has since been taken out of the latest offer, said Assistant Attorney General James Boffetti. Boffetti said Thursday that Condodemetraky has not been upfront with the government in how much he owes to how many people. At the end of January, before the company filed for bankruptcy, Boffetti said he was led to believe there were 84 creditors owed money by the business. Today, the figure is more than 300. “You can’t trust any of these numbers,” Boffetti said. More than 100 people have filed formal complaints with the attorney general’s office accusing Condodemetraky of fraud, including forging titles in order to take ownership of their vehicles. A Connecticut case from 2013 involving Dusty Old Cars came to light Thursday, as it was revealed that the financing firm, Goldridge Micro Cap 1, LLC, won a judgement against the company for more than $100,000. According to court records, Condodemetraky forged the titles on 10 classic cars and tried to use those vehicles as collateral for a loan he had defaulted on with Goldridge. The judge in that case ruled Condodemetraky committed fraud – Goldridge later filed a lien on Condodemetraky and his business. Harwood also issued an order for the state’s Division of Motor Vehicles to supply Askenaizer with a detailed list of titles for all the cars in the Dusty Old Cars inventory in order to determine the true ownership of the vehicle. Harwood also told Ford to prepare a way to notify the owners about those cars.